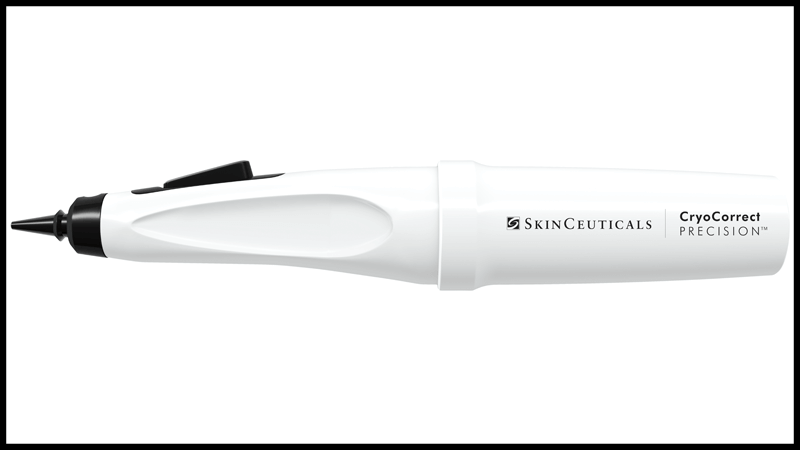 The CryoCorrect Precision Treatment is a non-invasive dark spot corrector and skin tag removal procedure. This treatment uses SkinCeuticals cryotechnology to gently freeze away unwanted age spots, sun spots, and skin tags from the face, hands, and body. Our skilled staff at the Centre for Plastic Surgery has been extensively trained by SkinCeuticals to identify, and safely treat unwanted spots. CryoCorrect can easily be added to most Centre for Pure Skin procedures. As a targeted treatment option for stubborn spots, it’s the perfect addition to other procedures that treat pigment such as chemical peels or IPL (intense pulsed light) therapy. CryoCorrect is quick and easy, the sun spot or skin tag can be quickly frozen in 5-8 seconds with minimal downtime and results in as little as one treatment. If you would like to schedule a consultation or learn more about CryoCorrect Precision, please contact us here or call our Grand Rapids office at 616.454.1256.